The Raving Queen: Will This Be The Literary Event Of The Summer??????????????????????? Will This Be The Literary Event Of The Summer??????????????????????? It just might be, darlings, because it is the only new book for the season announced, so far, that has leaped out at me, to grab my attention. I am telling you, girls, just because Stephen King's "Joyland" has a dark, amusement park setting, and is being issued with a cheesy, ersatz, 1940's paperback style cover, does not mean I am going to read it!!!! Does he think he can top Ray Bradbury and "Something Wicked This Way Comes??????" If he does, then he is as crazy as Annie Wilkes, girls!!!!!!!! 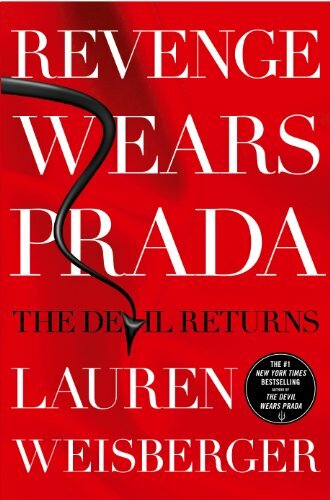 Now, I don't think Lauren's book has been reviewed by The New York Times, yet, so the jury is still out. But, in a review published recently in the Daily News, (a rag just one step removed from the New York Post, which, at least, is fun, in a campy sort of way!!!!) 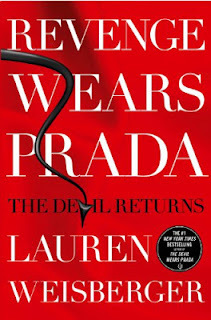 their reviewer insists Lauren cannot write, and has never learned to. THIS, coming from someone writing for the Daily News, and who, I bet has never had anything of theirs made into an A-list , Oscar nominated movie, starring MERYL STREEP!!!!!!!!!!! Listen, I know this guy who used to write for the Daily News, and you know what he is doing now???? Living off a trust fund, (nice work, if you can get it!!!) while going about town, presenting himself as a Christopher Mason wannabe, when even Mason does it better!!!!!! And writing spuds out of ash cans!!!!!!!!!!!!!! So, Lauren, I wouldn't get too worked up, over a Daily News review. You know us girls are going to buy it, and read it!!!!!!!!!!! You know I will, because Lauren and I are practically like literary sisters, except, with that hair, she gets the attention and adulation I should be getting. Not that I do not love every one in my community of readers; I do!!!!!!!!!!!! But, when is this going to go viral, leading to me becoming a media figure, and landing a book deal????????? Ah, well, you wait long enough, and see what happens! And keep writing!!!!!!! Do you think I could stop????????? It's like drinking coffee!!!!!!!!!!!! Which I am doing right now, as I write this!!!!!!!!!!!! I cannot wait to go out, get Lauren's book, read it, and share about it, with all my girls!!!!!!!!!!! And I want all of you to go out, buy, and read it, too!!!!!!!!!!!!!!!!!!! And Lauren, PLEASE--tell me where you get your hair done, so I can have fabulous hair, like you!!!!!!!!!!!!!!!!! !